With Easter around the corner, a lot of us have candy on the brain. And while the offerings at the drugstore are mighty tempting (I'm no match for Cadbury Cream Eggs! 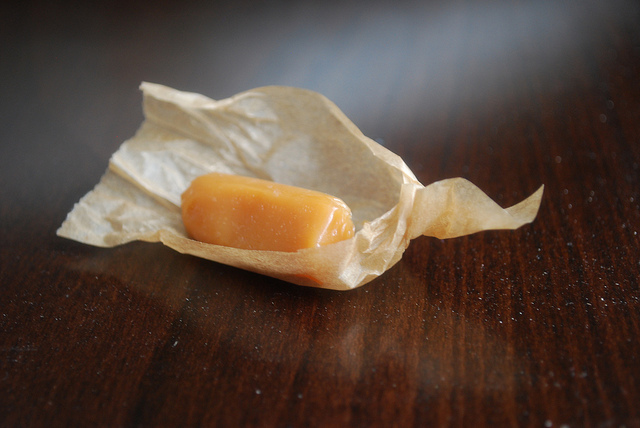 ), I think it's also a fun opportunity to try your hand at making homemade candies! 1. Fresh Fruit Chocolate Bar. A thick bar of dark chocolate filled with a mix of fresh berries and bananas? Total perfection! 2. 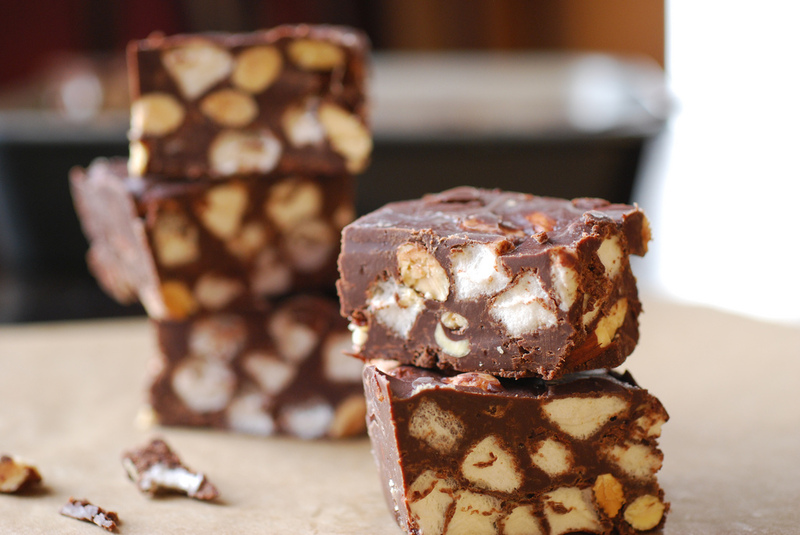 I'm not allowed to make this recipe for Salted Rocky Road Fudge anymore, because when I do, I just eat the whole tray. That combination of marshmallows, chocolate and almonds? It's perfection. 3. 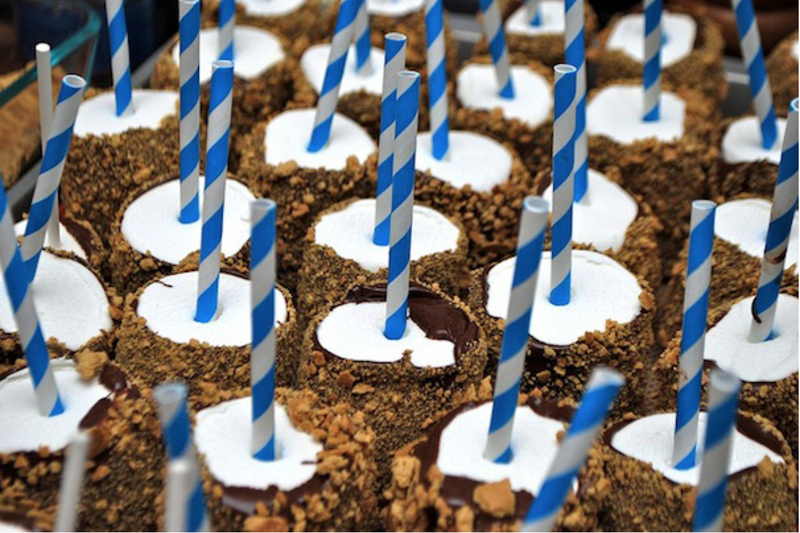 How to make DIY S'mores Pops! These are a super fun candy treat to serve at parties or use as favors. 4. Chocolate-Covered Blueberries take just minutes to prepare, and are one of those treats you can really feel good about enjoying (antioxidants!!). Perfect for movie snacking or to serve along with bubbly cocktails when you have guests. 7. 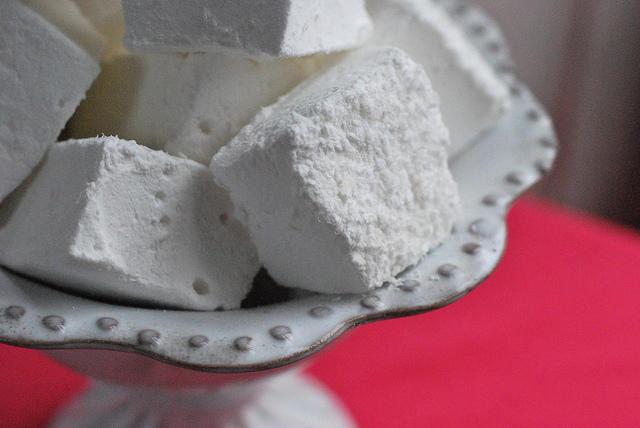 Get ready for some sticky, messy fun with this Homemade Coconut Marshmallow recipe (one of my FAVORITES!). Surprisingly easy, and so so good. 8. 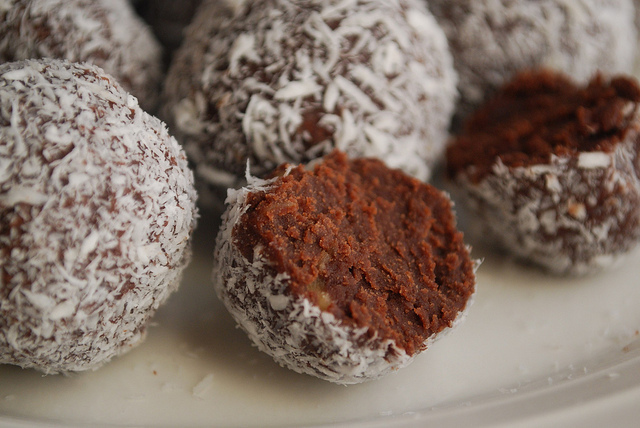 Boozy Rum Cake Truffles. I'm not sure if this technically counts as candy (it's really cake, I guess), but whatever! They're amazing. 10. Now we're getting fancy! Passion Fruit & Vanilla Bean Pate de Fruit. These things are my FAVORITE. 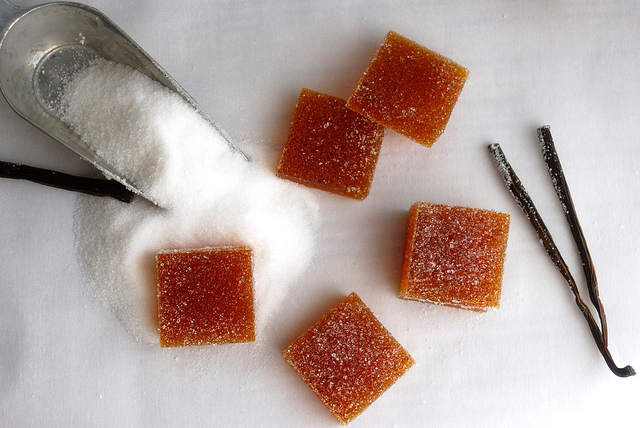 They take a little patience, but the recipe makes a TON, and these fancy fruit gels are usually sold for $2 for a single tiny square, so I'm basically teaching you how to print money here. 11. Dark Chocolate Lime Truffles. The combination of fresh lime zest + dark chocolate was a revelation for me. These are super easy. 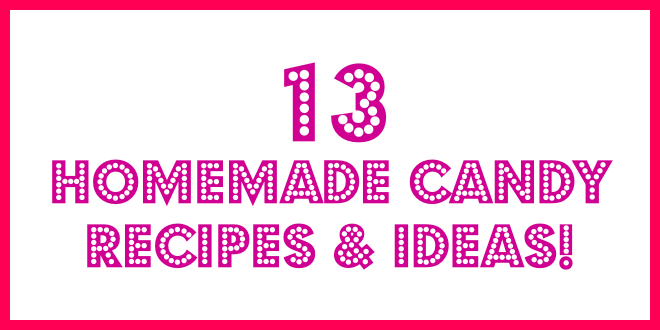 Go make them! 12. 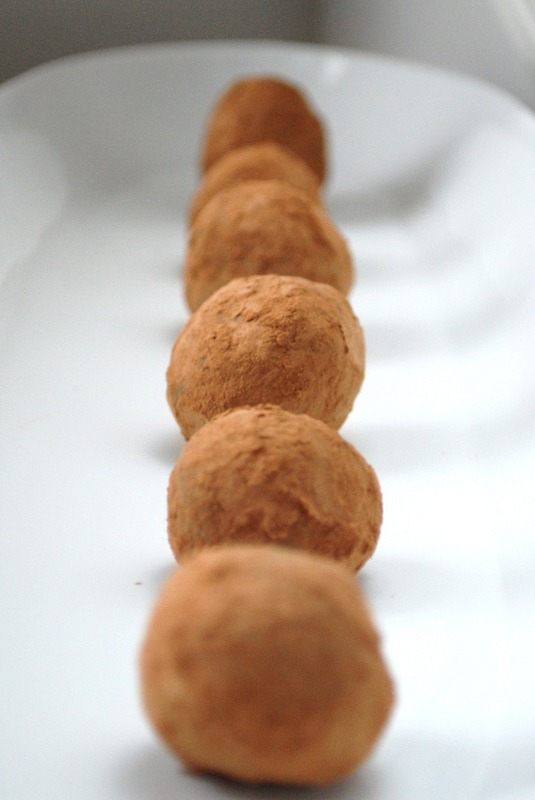 Cocoa Espresso Truffles. Maybe you prefer your chocolate with a kick? These are loaded with espresso. I think that means you can eat them for breakfast. I think. 14. 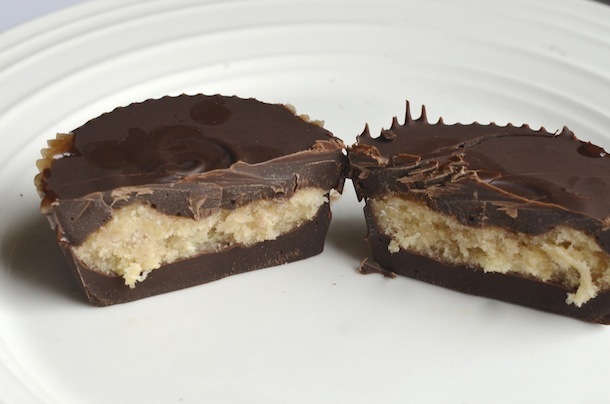 Frozen Chocolate Banana Cups--Like homemade peanut butter cups, but filled with mashed bananas! Such a fun and easy project.